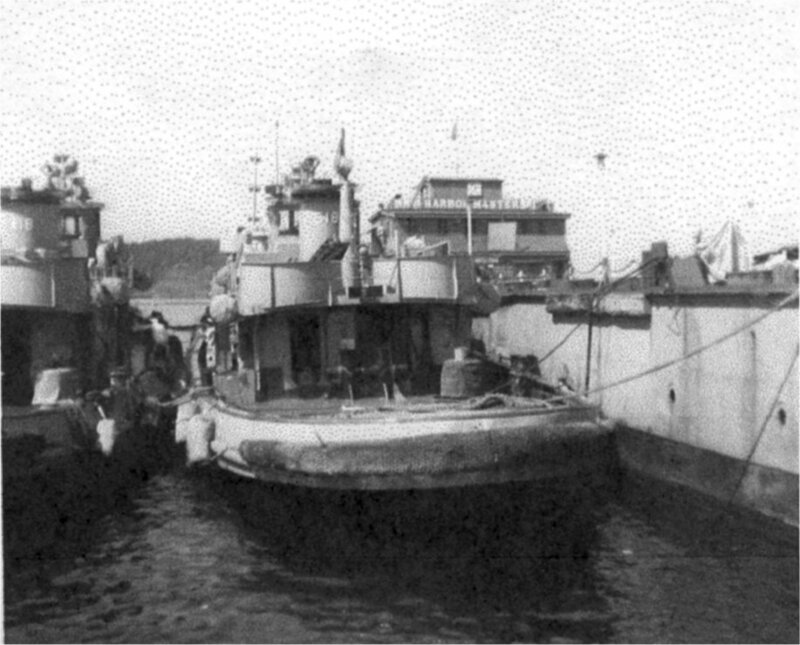 Laid down, 8 August 1944, at Coast Guard Yard, Curtis Bay, MD. 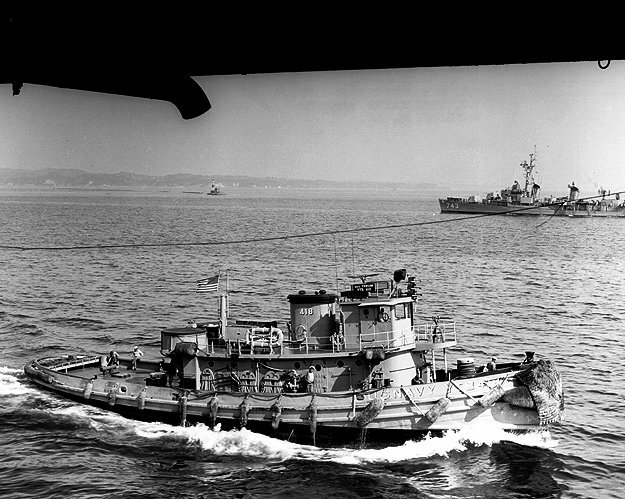 97k Tensaw (YTB-418) underway, date and location unknown. In the distant background is USS Southerland (DD-743).